30 Preset tones – now with the ability to create your own patches • 2- or 4-pass filter, three oscillators and full detuning for thicker, more powerful sounds • 60 factory patches to get you started – plus Glitch control to roll your own instantly • Revel in the glory of Frogman, GrowlWow and Space Reed! 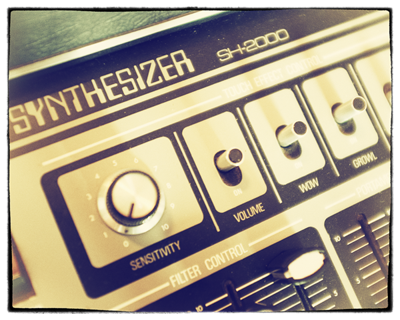 Roland’s neat little SH-2000 monosynth was in some ways a pretty limited machine, built around a single oscillator plus a moderately squelchy filter circuit. 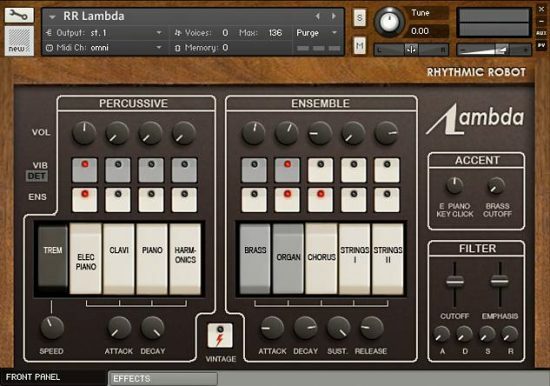 Editing was very basic indeed: a series of 30 colourful tabs along the front edge of the instrument brought the onboard presets into play, while a little panel to the left of the keyboard offered rudimentary control over things like filter modulation, wow, ‘growl’ and portamento. 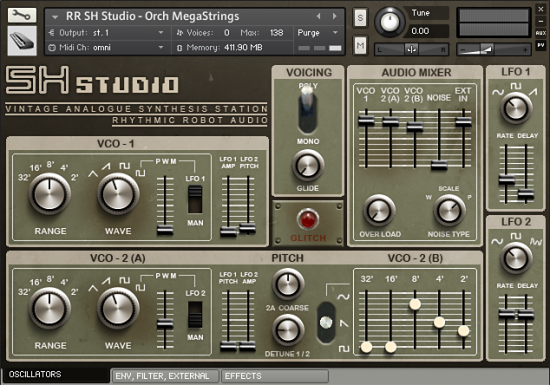 Fiddling with these in real time while noodling away on the keyboard could yield some surprisingly cool effects. 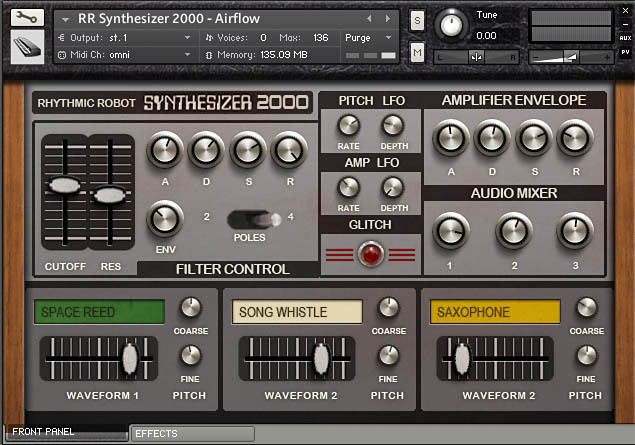 Although it was never going to knock anyone’s System 100 off its pedestal, the SH-2000 scored rather well in terms of raw sound; plus it had little touches of insanity dotted around it that made it really fun to get to know – like the random note generator, which spits out an endless series of random notes while you wibble and wobble the control panel to your heart’s content. Plus, of course, there are some totally bizarre presets in there: as well as the usual fare (Violin, Tuba, French Horn) there are some rather more forward-thinking offerings (two flavours of Fuzz Guitar, for example) and such aural wonders as Frogman, Space Reed and GrowlWow. All in all, it’s an endearing little machine. 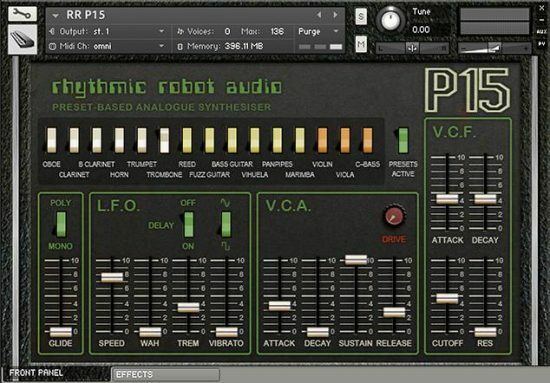 Our recreation will, if you like, behave and sound pretty much exactly like the original: single oscillator, mono, select a preset and dive in. But why do that when you can layer three presets, detune them, adjust the envelopes properly and then play the whole thing polyphonically? Yep, as usual with these cute little monosynths, things really come to life when you stack up some waves and grab a chord or two. All the little analogue unevennesses work their magic and everything sounds lovely and rich. 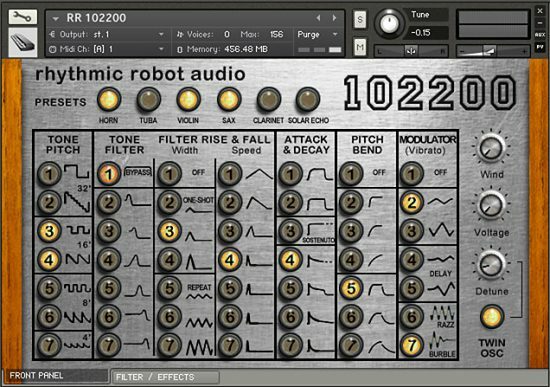 In fact, you can even get some pretty cool experimental tones out of it – which isn’t bad for something that started out as a preset machine! Sonically, the SH-2000 can be surprisingly weighty: there’s bass here if you need it. It’s also got a slightly raw, rusty quality to its midrange which we rather like (though you can of course tame it with the switchable 2- or 4-pole filter if you wish). All in all, this is a neat addition to our growing stable of oddball monosynths of yesteryear!